OneWatt predicts and detects faults in industrial motors by literally listening to motors with our EARS and understanding those signals with AI and frequency analysis. Motors are prone to failure and it takes just one bad motor to stop a production line, which leads to lost revenue, unproductivity and costly repairs. Even with good maintenance staff, faults cannot be caught before they cause massive downtime. 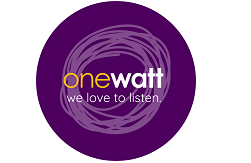 OneWatt uses its EARS to literally listen to motors. Using these acoustic data, we are able to detect and predict faults before they cause unnecessary downtime. This protects the facility from revenue losses, prolongs the lifespan of the asset and ensures the optimal operation of motors. Increase productivity of maintenance work.